Local sources inform us that the snowploughs have been busy and the route is now passable, presumably with care. 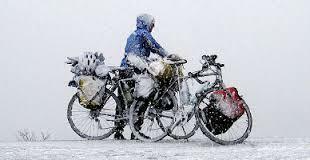 With more snow forecast before the weekend the situation can change daily so our advice remains to stay in touch with local service providers on the route and check relevant websites including the North Yorkshire road closures website. If you do cycle the route over the next few days, do let us know how you get on.